(MoneyWatch) Most 401(k) participants plans are on their own when it comes to deciding how to turn their retirement savings into reliable, lifetime income. The reason? Most employers pay retiring employees a lump sum from the 401(k) plan and don't provide any help with the critical task of generating retirement income from that savings. But just because this has been the status quo for years doesn't mean things can't change, especially with the number of retirement income products now available on the market. To set the stage for future changes, a new study from the Stanford Center on Longevity (SCL) and the Society of Actuaries (SOA) shows employers how they can help their older workers plan for a secure retirement. (Disclosure: I was the primary author of this report). Given people's longer life expectancy these days, the money set aside for retirement may need to last a long time -- potentially 20 to 30 years or more. Market volatility complicates the challenge of managing savings in retirement. Since 1987, there have been four major market meltdowns. Retirees can expect -- and should plan for -- more meltdowns. Many employees don't know how to calculate the amount of savings they need to generate adequate income during their retirement. They often guess at this amount, and they usually guess too low. There's also evidence that retirees are doing a poor job of managing retirement risks; many lack a formal plan to generate retirement income from their savings, and as a result, they're planning to spend down assets at an unsustainable rate. Others are under-spending in retirement for fear of running out of money, leaving them with less money for necessary expenses. 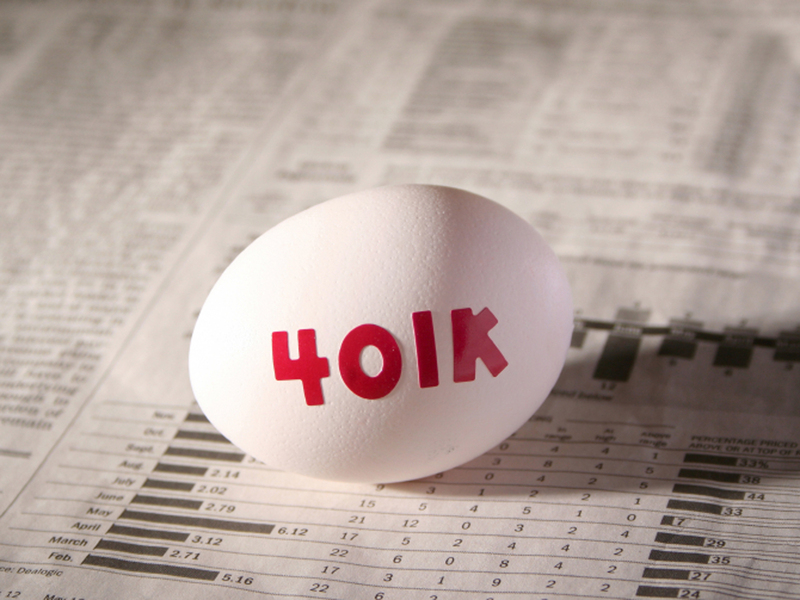 These challenges could all be addressed if 401(k) plan sponsors provided retirement income programs within their 401(k) plans instead of just pre-retirement investment vehicles. So why aren't more employers offering such programs? The primary reason seems to be how plan sponsors view their defined contribution plans. According to one study, 91 percent of plan sponsors view them as savings plans, while only 9 percent view them as vehicles for providing retirement income. A cultural shift is needed: Employers and plan sponsors need to commit to operating their 401(k) plans not just as a way to save for retirement but as plans that help employees before and during their retirement. Several reputable financial institutions offer an array of retirement income products, including AllianceBernstein, Fidelity Investments, Financial Engines, Great-West Insurance, Guided Choice, Income Solutions, Prudential, Schwab, Transamerica, UBS and Vanguard. Many of these products and services are available on the platforms of 401(k) plan administrators, such as AonHewitt, Fidelity Investments, J.P. Morgan, Mercer, T. Rowe Price, Vanguard, Wells Fargo and Xerox/Buck. The bottom line is that plan sponsors now have realistic retirement income products they can offer in their 401(k) plans. The SCL/SOA study provides employers with guidelines for selecting the products and services that employers can offer in their 401(k) plans and implementing a successful program of retirement income. The report describes common retirement income generators (RIG), such as annuities and systematic withdrawals, and provides projections of the amounts of retirement income that each RIG might generate. These projections show that a retiree's choice of a RIG can have a significant impact on the amount of income they'll receive, when they initially retire and throughout their retirement. One important conclusion from the SCL/SOA study is that plan sponsors can significantly increase the amount of retirement income employees might receive by offering retirement income products that come with institutional pricing instead of the standard retail pricing individuals have to pay for such plans. Institutionally priced products have the potential to increase retirement incomes by five to 20 percent. Plan sponsors and employers are uniquely positioned to help their employees convert their retirement savings into income without any economic incentive that might bias individuals' decision-making. This objectivity will help older workers retire with confidence and security. If this scenario sounds promising to you, show this blog post to your employer and diplomatically ask them to consider implementing a program of retirement income in your 401(k) plan. Employers often respond to employee requests, and if enough of your coworkers make the same request, you can make it happen.